What Happens When My Bank Account Is Written Off As a Loss? When consumer deposit accounts like checking and savings accounts are written off as a loss, it's generally because the account incurred a negative balance and the bank was unable to collect funds to bring the account to at least zero dollars. Many banks report these accounts to collection agencies and to a national clearinghouse called ChexSystems. When this happens, you may find it difficult to open a new deposit account, and you could be pursued by a collections agency. When a consumer deposit bank account falls into a long-term negative balance, the bank may choose to close the account and write off any negative balance as a loss. It doesn't matter whether it's a checking or savings account -- both are treated in the same fashion by the bank. Generally, banks provide ample opportunity to bring a negative balance to zero, depending on the history of your relationship to the bank. 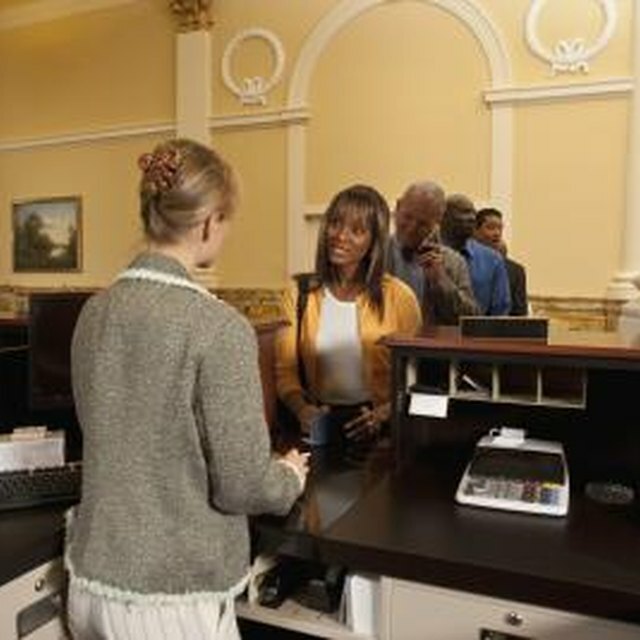 Many banks extend grace periods of 21 days or longer to restore an account before it is involuntarily terminated, although the length of time varies by bank. A write-off may be referred to a collections agency. Some banks will sell the write-off debt to a third-party collector, who will then pursue the debt. A write-off, once sold in this fashion, is a valid debt like any other, and the collector may pursue the full range of debt collection practices, including lawsuits and garnishments, to satisfy the debt. The largest and most used national reporting network for deposit account integrity is run by ChexSystems. Many banks report derogatory account activity to ChexSystems, and many banks query the network when determining whether to open a new deposit account. A negative report remains active in ChexSystems for up to three years. Although the network does not authorize or decline accounts, many banks will refuse to open accounts for customers who have an active ChexSystems record. If Your Debit Card Is Declined Can it Hurt Your Credit Record? If a write-off is referred to collections, it will likely appear on your credit record. Write-offs can remain on your credit report for up to seven years, and may lower your overall credit score. In addition, the write-off may be reviewed by anyone -- like a potential employer or landlord -- who reviews a detailed credit history prior to extending a residential lease or job offer.